Southcoast Health and Care New England announced today that each healthcare system has submitted the first of several regulatory filings necessary to move forward with the proposed affiliation. This first filing was a Notice of Material Change submitted to the Massachusetts Health Policy Commission. Two additional regulatory filings are necessary in Massachusetts in order to move forward with the process — both to the Department of Public Health. One is for Health Facility Licensure and the other is for a Determination of Need. In addition, three filings will be required in Rhode Island: an application with the Department of Health for a Change in Effective Control (CEC), and two filings under the Hospital Conversions Act — one with the Attorney General and one with the Department of Health. The filings in both Massachusetts and Rhode Island will include state-defined organizational information from both Southcoast Health and Care New England, as well as information regarding the proposed affiliation. 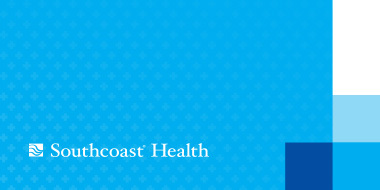 The proposed affiliation between Southcoast Health and Care New England will create a new organization with the size and scale necessary to help better manage population health for patients, reduce the cost of care, invest in the latest technology and attract the best doctors and providers – all resulting in the exceptional care for patients in the region.